E13. 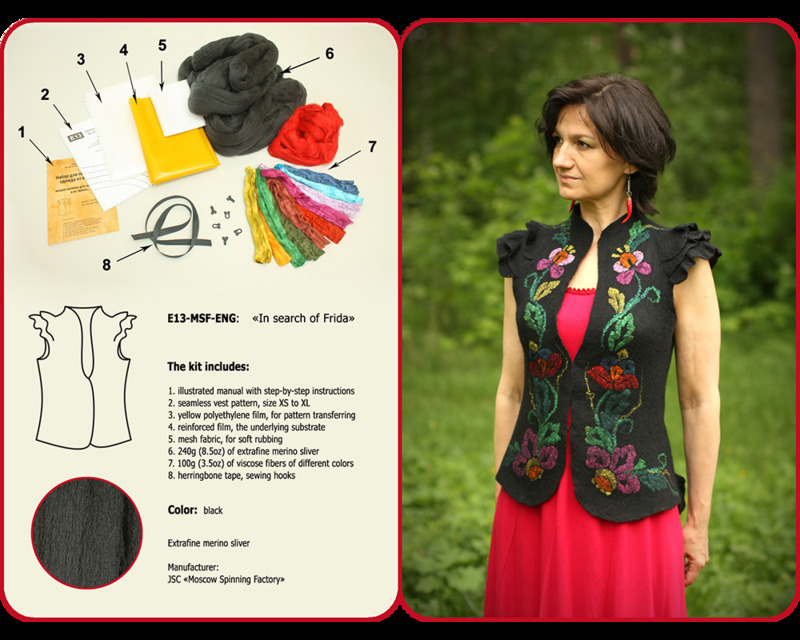 "In Search of Frida"
With this unusual kit, you'll not only able to make your own vest, but also feel yourself as a paintress; on the example of popular model that is called "In search of Frida"
This is "all-in-one" kit that contains everything needed to help you make a similar vest, except some little things: a water scoop, a towel and soap. We've gathered all the materials: an extra fine Australian merino sliver; viscose fibers of different colors and other accessories.